The elections are really heating up in Maryland. From your local elections to the gubernatorial race, voting this fall is going to be more important than ever. And now, YOU have the opportunity to let your candidates know what you care about most: a clean, healthy, livable future for everyone in Maryland. But, we need your help. How? By using the power of social media to influence your friends – and the candidates running in Maryland, that we can’t wait any longer for progress on clean energy. We’ve seen the climate crisis is fueling extreme weather across the country this year – from floods, hurricanes, wildfires and more. We need to take action NOW in order to make a difference in this fight. Won’t you join us? Step 2: Watch this Clean Energy Voter video – and share it with your friends! Step 3: Use your social media to encourage your friends to become Clean Energy Voters too, and to influence candidates running for office to support clean energy this November. 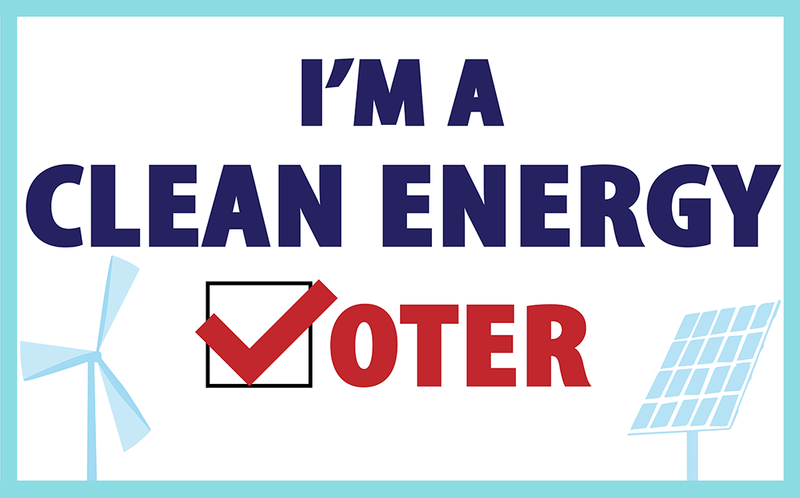 Click to post: I’m a proud Clean Energy Voter! I support candidates who will bring clean energy to Maryland and create opportunities for a cleaner future. Click to post: The elections have never been more important. I support leaders who will bring more clean energy to our state. That’s why I’m a Clean Energy Voter. Join me! Click to post: It’s so important to vote this November. I took the pledge to support clean energy candidates at the polls. Won’t you join me? 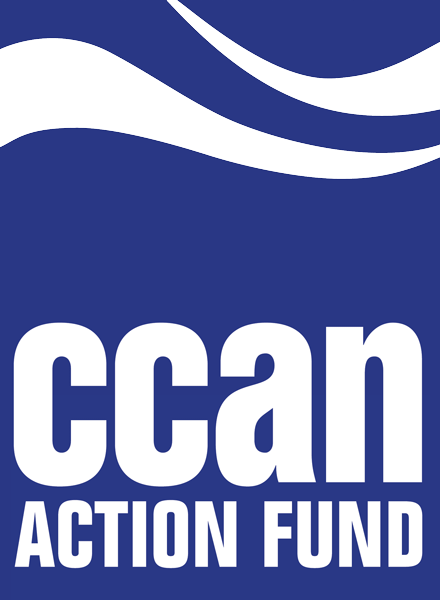 Click to post: The Clean Energy Jobs Act would double wind and solar in Maryland and put us on the path to 100% clean, renewable energy. That’s why I’m a Clean Energy Voter – won’t you join me? Click to post: Maryland has the opportunity to become a leader in clean energy. The Clean Energy Jobs Act would create 20,000 new Maryland jobs in the solar industry over 10 years. That’s why I’m a Clean Energy Voter. Select “Use” and you’re done! 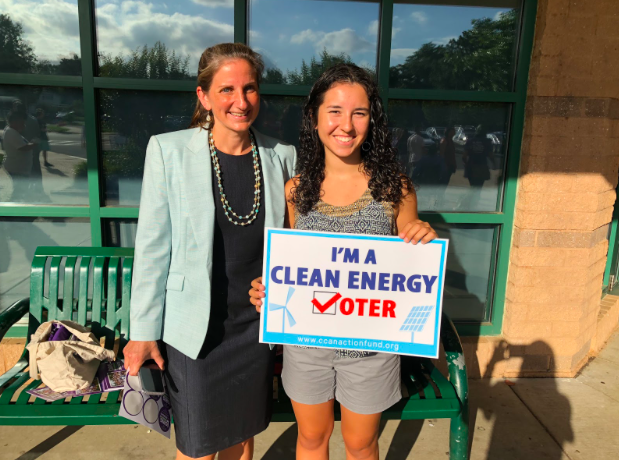 Tweet: I’m a proud #CleanEnergyVoter. I support candidates who will move us forward to a more sustainable and equitable Maryland. Tweet: The elections have never been more important. I support leaders who will bring more clean energy to our state. That’s why I’m a #CleanEnergyVoter. Join me! Tweet: For clean air, good jobs, and a just economy, I pledge to vote for clean energy candidates at the polls this year. Join me! Tweet: Adding more #wind and #solar power in MD will help power our homes + businesses. The #CleanEnergyJobs Act is the fastest way to get there. That’s why I’m a clean energy voter. Tweet: WATCH: Maryland voters are speaking up – it’s time we vote for climate progress. Sign the pledge to be a #CleanEnergyVoter today!